Your fantastic website has been an answer to my prayers and has opened a door to questions that I have about my present life and problems. I have always felt that there was something more to my life and its unusual situations; so when I ventured on the Internet searching for "past life problems", I discovered your website with it's vast information! I am very impressed that you have so much knowledge and solutions to situations in life that goes unanswered and misunderstood. Your own experience has proven to you (as well as others) and set you on the path to self discovery and healing of your past life influences! But the fact that you have shared that with everyone is so awesome, that you are so blessed. I know that this year (and this life) has to be resolved of all past/present repetitive, destructive patterns for me, and that's why I try to read your website as much as possible. I do not always have access to the Internet, so I have not been able to read everything you have written! I believe we all have past lives that influence the present, and if we are open to that idea, our lives can be healed in a positive way. All your exercises will doubt benefit me, I just need to decide which to work on first. I particularly like the one that breaks the chains to the	past, I haven't yet mastered that one, I seem too anxious and want to break all the chains, but you have advised not to! I want to heal my life so much and be able to give back to this beautiful universe all the good that I can. I want all my family to experience this also. Like I told you, I've had so many setbacks that happen just when I start to succeed, and I couldn't understand why. Your website has explained the reasons more or less and that has helped me to understand and pursue healing! 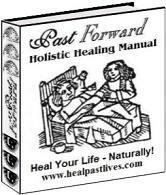 I am glad that there is such a healing possible ("Remote Releasement - Full Inner Body Cleansing and Healing") for ongoing destructive problems that cannot be explained or healed with traditional medicine/therapy. I did not know that that could be done, and I would very much like to know more. Also, the article on "Sound and Music" is wonderful, I particularly like to listen to Mozart, Tibetan chanting and other "new age" music. It is medicine for my mind and I do feel better after listening! I also printed the Tibetan Eye Mandala and found it fascinating. My eyes went crazy looking at it; I've had to wear glasses since I turned 45 for reading and farsightedness. I plan to make copies of it for my work area and at home. The information on the essential oils is great; I've started wearing oils instead of perfume and use them in my bath water and in an air diffuser for my home. I find that the way the information is categorized as "Past" and "Present" really helps alot. I wish I could print out the entire website and keep it as a book!! Ellen, your information is God sent and I appreciate it so very much!! Please continue adding and updating as you can! !